Smart decisions can only happen if you have accurate information. With Calxa you can simplify your monthly management reporting and create better, accurate and professional-looking insights. Use wizards to prepare budgets and pre-made templates and workflows to automate the process. You won’t have to waste time on this again! By linking directly to accounting data, you receive full transparency and reliability, guaranteed. Calxa helps ease the cashflow burden. 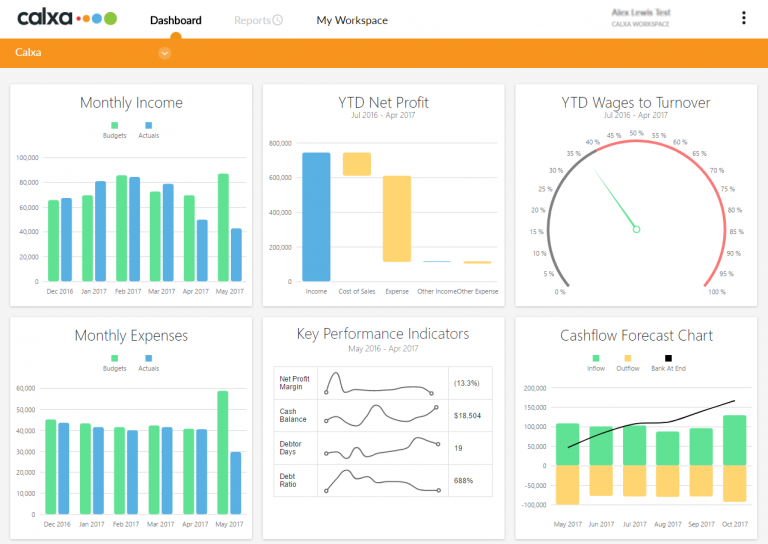 You get accurate cashflow forecast charts that show you at a glance what’s going in and out of your bank. It’s presented in a way any non-accountant can understand! Calxa works with popular accounting systems including MYOB AccountRight, MYOB Essentials, Xero and QuickBooks Online.